The World Bank has reached its 70th birthday. The world was very different when it was founded. Do we still need the Bank, given how much the global financial sector has expanded since the institution was founded? What is wrong with it and how can it be fixed? 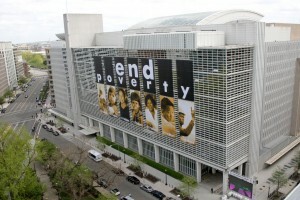 World Bank headquarters in Washington DC. Here is Martin Ravallion’s answer: World Bank. He argues that there is a continuing role for the Bank, and that it is complementary to private finance. Fulfilling that role calls for a significant change in the Bank’s culture. He argues that the past rhetoric of the “knowledge bank” has not matched the reality. Instead, knowledge must drive the Bank’s lending—both informing the nature of that lending and learning from it—rather than simply serving lending when called upon. The focus of knowledge generation should be on: (i) identifying and addressing the key country-specific constraints on rapid poverty reduction, and (ii) solving the cross-country coordination problems needed to deal with shared threats.